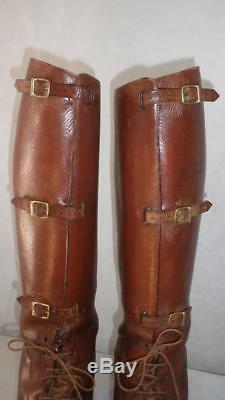 Vintage/Antique Peal & Co-WW1 British Army Officer Long Leather Field Boots Uk 9. 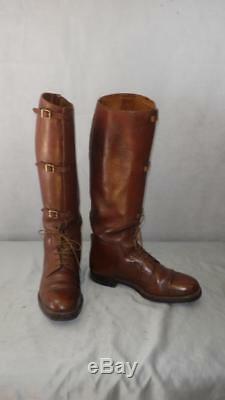 Military Field boots Made by PEAL & Co London English leather long boots Rich brown in colour with tan inner Lace fastening at the ankle Strap and buckle fastening along the calf Brass Buckles Embossed to the inside. By Appointment To The Late King George. 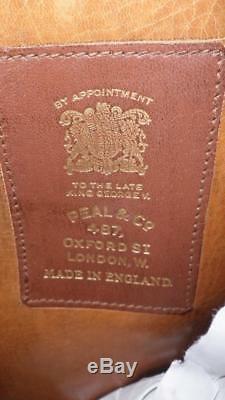 V PEAL & Co 487 OXFORD ST LONDON, W MADE IN ENLAND. ITEM CONDITION These boots are in good used condition. 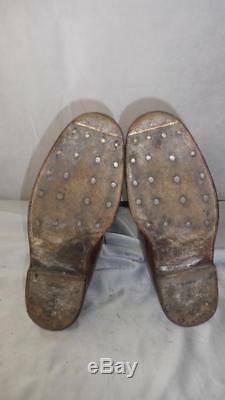 They have been well cared for and maintained and show some use marks or wear. There are a few scuffs/grazes, some light spotting which would come away easily with cleaning and polishing. Please see images for further item condition. 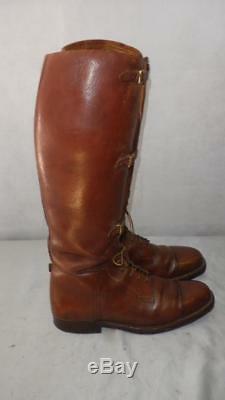 ITEM MEASUREMENTS (APPROXIMATES) These boots appear to be a UK mens size 9, however as they were bespoke made this is an approximate only. 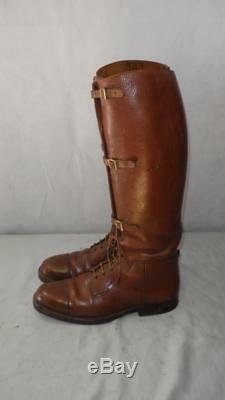 Note: All measurements have been taken by hand from the outside of the boot to provide guidance only. Approximate size: UK mens size 9 Inner Leg height (from above the sole): 42cm Back Leg height: 44cm Outer Leg height: 45cm Calf (widest part): 40cm. Please note that the calf has 3 different buckles so is fully adjustable, the 45cm is with the buckles on the middle holes, so give a few cm each way regarding the adjustable sizes. Packaging We pride ourselves on packing our items securely and efficiently whilst recycling as many clean materials as possible. Get Supersized Images & Free Image Hosting. Create your brand with Auctiva's. Attention Sellers - Get Templates Image Hosting, Scheduling at Auctiva. 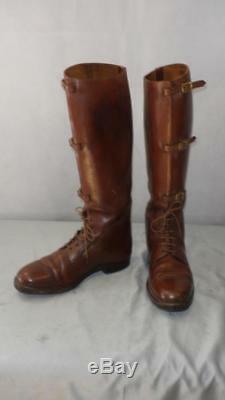 The item "Vintage/Antique Peal & Co-WW1 British Army Officer Long Leather Field Boots Uk 9" is in sale since Thursday, August 24, 2017. 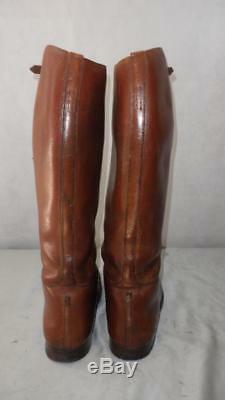 This item is in the category "Sporting Goods\Equestrian\Riding Boots & Accessories\Other Riding Boots & Accs". The seller is "gerwyn-2009" and is located in Pontyclun. This item can be shipped worldwide.